Since Avengers: Infinity War ended with the apocalyptic snap, Marvel fans have spent the subsequent months trying to figure out how the heroes are going to save the day. We know for sure that some of them will be back (there are already other movies scheduled and Dave Bautista literally told us he'd be back). So it's not a matter of if they'll reverse the snap, it's how they'll do it. As with most things in comic books, all the ways in which the Avengers could return are needlessly convoluted—complete with Quantum Realms, time loops, etc. But, if you're going to read any fan theories about what could happen in Avengers 4, this one posted by Reddit user LA-Confidential is certainly the most thoroughly thought out and explained. It essentially involves Doctor Strange casting a time loop spell on the time stone (as he'd done in the end his namesake movie). In this theory, Avengers 4 begins with Thanos back on his home planet—restored to its former beauty—when it suddenly reverts back to before the snap. That's part of Doctor Strange's plan. 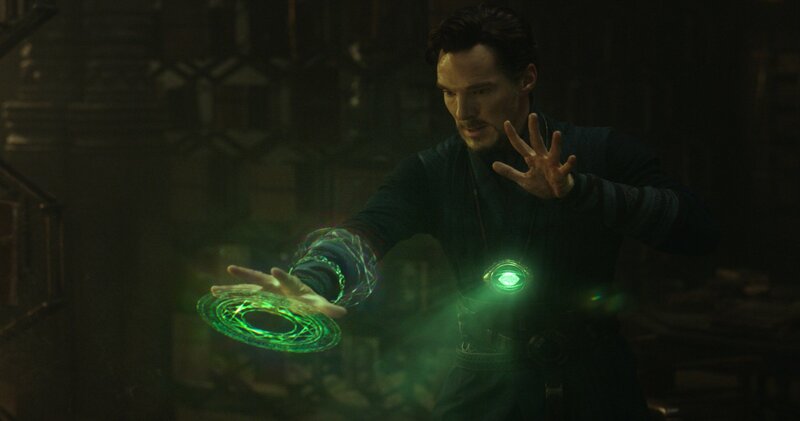 We saw in DOCTOR STRANGE that he can cast a spell on the Time Stone to impose an infinite time loop, represented as a green energy ring rotating around his left wrist. No matter what happens, it always resets to the point in time when the spell was cast. The Stone and the spell on it keep working, even after Doctor Strange gets (repeatedly) killed. This point is important, and ties in with Strange's later reminder to Ebony Maw that spells he casts on the Time Stone will persist even after he dies. When he finally gets Dormammu to relent and releases the spell, the energy ring on his left wrist isn't seen again. So essentially, during the fight on Titan, Doctor Strange was using that time to secretly cast his spell on the time stone before handing it over to Thanos. He needed a believable way to surrender the Time Stone to Thanos, without him catching on. His claim that he was trading it for Tony Starks' life was just an excuse to make it credible—as he said, he wouldn't hesitate to sacrifice Tony to protect the Stone. It wasn't because Strange saw Tony ends up being crucial to victory, though he may well be. It was a way to get the Stone past Thanos' skepticism, which we saw in his "No tricks?" comment. When Strange hands over the Time Stone, he's already cast the time loop spell on it. In the whole sequence, we never see Strange's left wrist—and in fact, we never see it again in the whole movie. We see full shots of every other character, and we see Strange's face, and torso, and right arm... but not his left hand. Maybe he's got it hidden under the cloak, maybe he's sitting on it, but he's hiding that time loop spell. After Thanos heads to earth, the Stone has a time loop spell active and he doesn't know he's trapped in it. At some point in the future, it will reset time to the moment Strange cast the spell, on Titan before the Snap. The time loop is literally the "endgame" Strange refers to, as it was with Dormammu. The key here is Doctor Strange's left arm. As we know, the left arm glows when it's using the spell—something that Doctor Strange was hiding after he cast it on the time stone. So, while Thanos is trapped in that time loop cast by Doctor Strange on the time stone—that's when the Avengers will have to regroup, travel into the past and stop Thanos. That's where the time travel in the movie comes in, driven by Ant-Man, who has discovered how to use time vortexes in the Quantum Realm to get where and when you want to go. They can use the Quantum Realm to travel in both space and time, but using them can screw up the timeline and maybe destroy it. (The Time Stone, by contrast, can't move you around in space, but we've seen it can reset time back to a particular point safely.) The Avengers regroup at a base of operations in the future, then go back to various points in time where they know Infinity Stones were available, scenes shown in CAPTAIN AMERICA: THE FIRST AVENGER and THE AVENGERS. The rest of the theory involves a new infinity gauntlet built by Stark and Shuri and wielded by Captain Marvel, who will use it to stop Thanos. It's hard to imagine how anything like this will be explained in the movie without two hours of mind-numbing exposition, but we have to get all these heroes back somehow to continue making money for Disney.